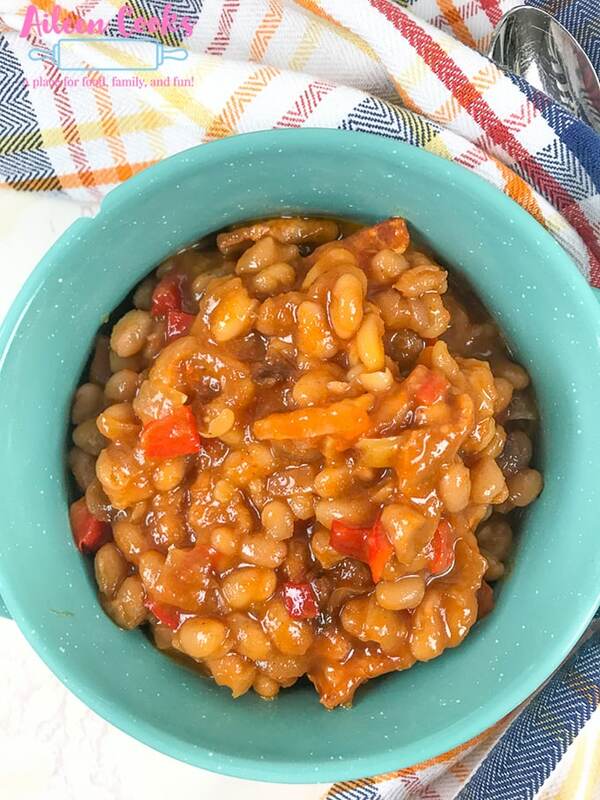 Make these instant pot baked beans today! 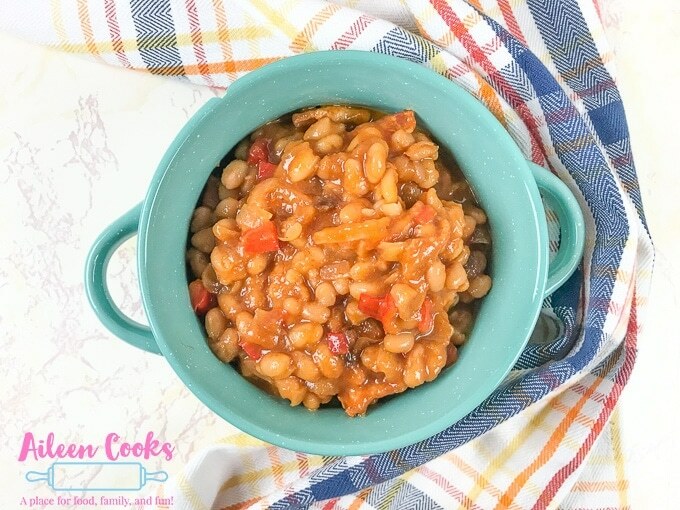 This classic baked beans recipe is ready in no time using the Instant Pot. Simply quick soak a pound of beans, fry up some bacon, and you will have a delicious pot of baked beans ready to enjoy at your next barbecue. I love a good batch of baked beans. There is something about that hearty and sweet bean mixture that always has me coming back for seconds. 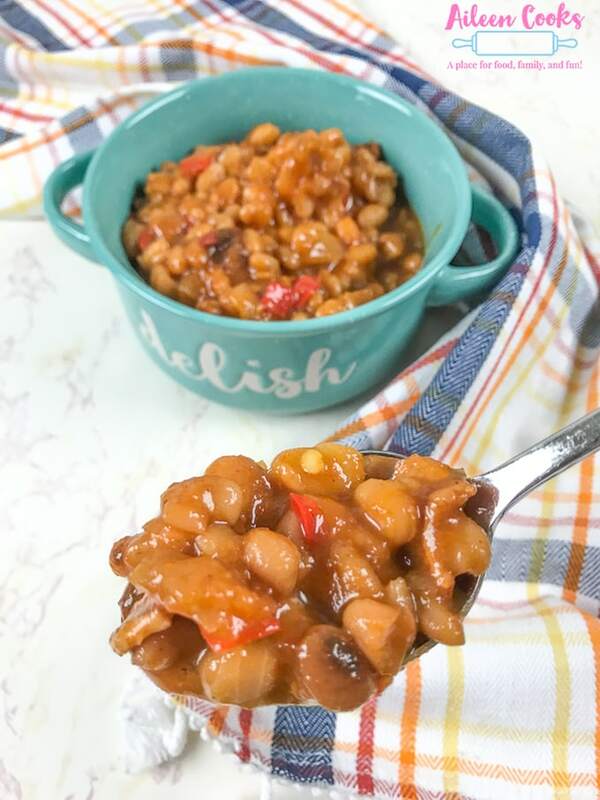 Once I realized how easy it is to quick soak beans in the Instant Pot, I knew I just had to test out making baked beans with my trusty pressure cooker. As expected, it was a huge success! Not only is this recipe relatively fast, but you can start with dried beans. Which makes it cheaper to make, too. What beans are used for baked beans? I used dried navy beans for this recipe. They are the traditional beans used in baked beans and work perfectly in this recipe. They are a white bean that is similar to great northern beans, but smaller. This recipe calls for two cups of dried navy beans, which is the same as 1 pound. 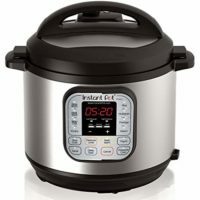 Why use the Instant Pot for baked beans? Normally, making baked beans from dried beans would take 8 hours or more because you would have to plan for the time it takes to soak the beans. Most people do this overnight and make their recipe the following day. I love using my instant pot to make baked beans because the soak time is cut down significantly. I love pairing baked beans with any kind of grilled meat, like tri-tip or pork loin. Baked beans are also great with instant pot cornbread as a second side or corn on the cob. If you would rather pair them with chicken, try this recipe for sheet pan baked teriyaki chicken and pineapple or our recipe for instant pot Hawaiian chicken. You can also browse a huge list of instant pot chicken recipes here. Why is soaking beans in the Instant Pot faster? As you will see in this recipe, part of the steps covers soaking the dried navy beans before making them into baked beans. It’s faster because you can cook the dried beans under pressure for 5 minutes, natural release, and they come out as if they were soaking overnight. 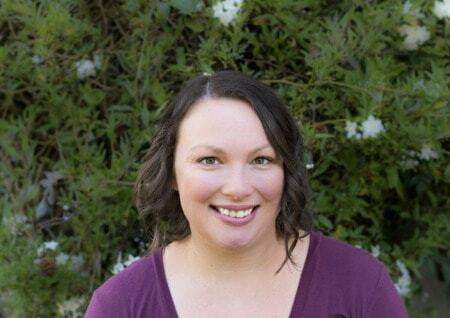 It takes about 30 minutes in total and is a great way to save time. 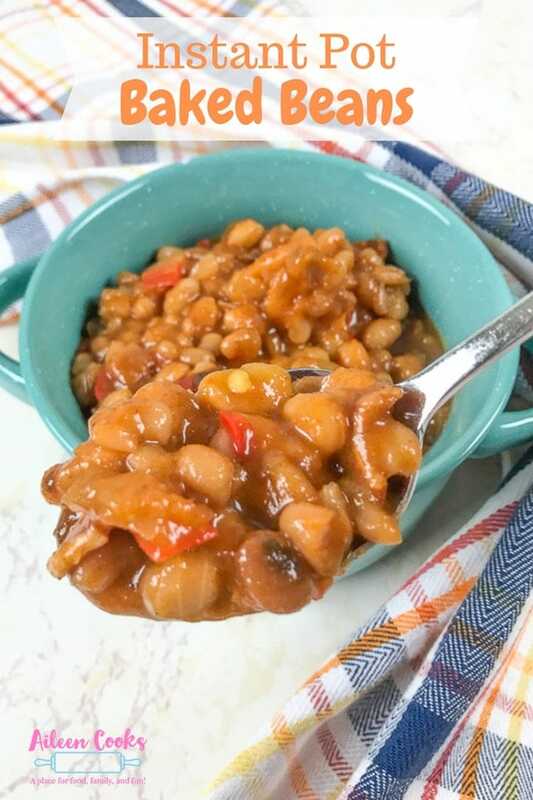 Instant Pot baked beans are so easy and delicious! Make this classic baked beans recipe in no time using the Instant Pot®. Simply quick soak a pound of beans, fry up some bacon, and you will have a delicious pot of baked beans ready to enjoy at your next barbecue. 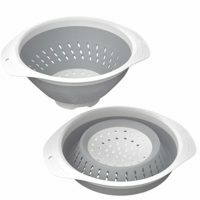 Rinse dried beans in a colander and sort for any stones. If any stones are found, dispose of them. Pour rinsed beans into Instant Pot. Fill Instant Pot with water until water is 1 inch above top of beans. Close lid and set pressure release valve to sealing. Press manual or pressure cook button and set to 5 minutes. Remove lid and drain any access water. Remove beans and set aside. Spray inside of Instant Pot with cooking spray and pour in bacon slices. Let cook, 7 minutes, until bacon is browned. Stir occasionally. Remove bacon and place in-between two paper towels to drain grease. Dispose of remaining bacon grease, reserving two tablespoons inside the Instant Pot. Mix onion and bell pepper into remaining bacon grease. Let cook, 3 minutes, until soft. Stir occasionally. Pour in 1 cup water and deglaze the bottom of the pot. Turn Instant Pot off. Add in the beans, ketchup, brown sugar, and Worcestershire. Mix. Press manual or pressure cook button and set to 15 minutes. Serve warm and refrigerate any leftovers, up to one week. mNutrition information is an estimate. 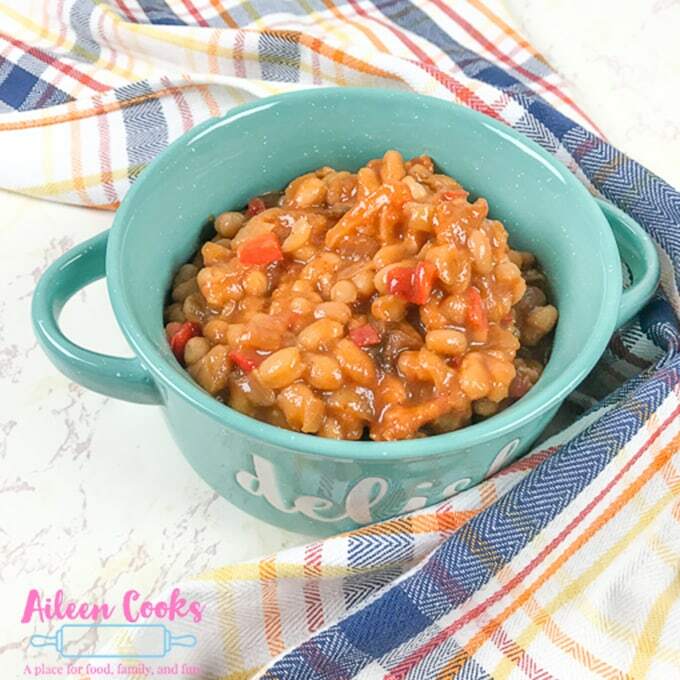 Have you made instant pot baked beans before? Let us know in the comments what you thought of this recipe! Am I missing the measurement of water when doing the final cook? Hi Linda. Yes, you sure are missing the water measurement. Thank you so much for catching this! It is 1 cup of water. I will update the post, as well.